Whenever my sake buddy is back to KL, for sure we will date out to izakaya and pop open a bottle of sake. I came across this place some time ago. It has been mysteriously sitting there at Solaris Dutamas, outside Publika. Why would I say mystery? That’s because of the outlook design of the shop; you will never get to peep through it, except from the bottom of the main entrance. LOL. To kill our curiosity, we decided to give a try. 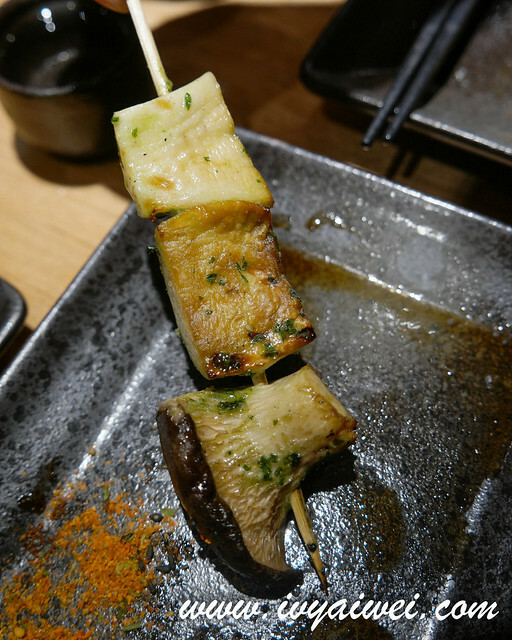 Get to know that Toritama is from Tokyo. 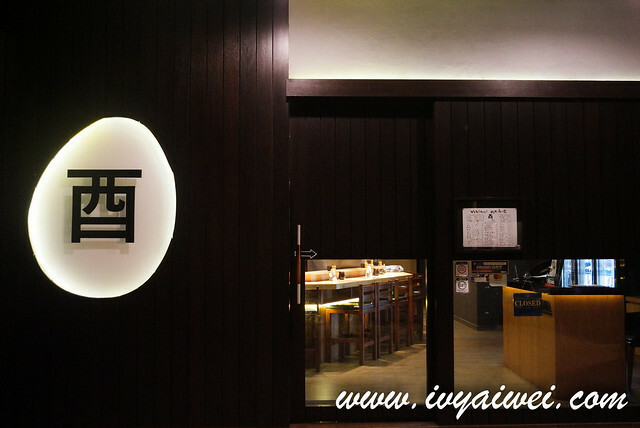 “Tori” means chicken and “Tama” means egg and that reflects on the signboard itself. 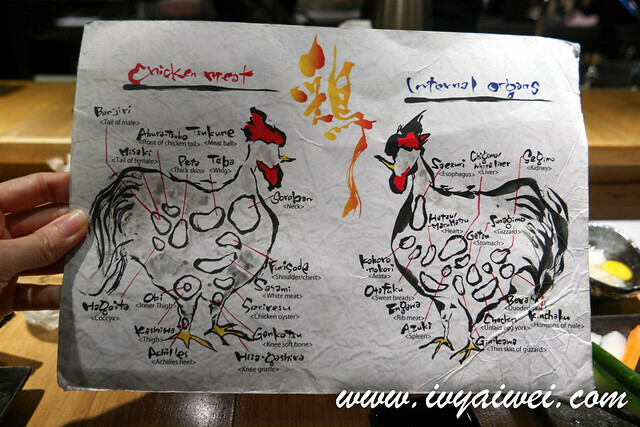 So from it names, you can easily guess that it’s a yakitori bar that is specialised in Chicken! As we entered, we were amazed by the restaurant bar counter. 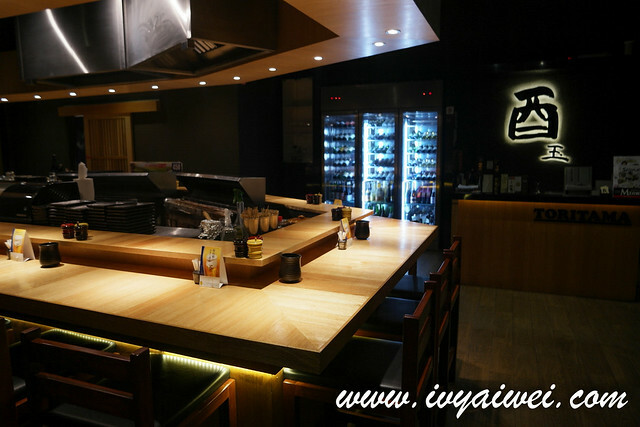 By sitting at the bar courter, we got to observe chef’s action and see him turning the raw material into aromatic cooked skewers. 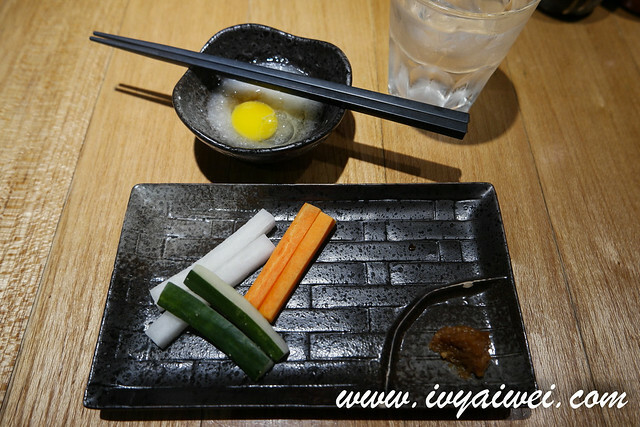 Soon as we were seated, we were presented with the appetiser, just like how it is in Japan. And it is FOC (this point is different from Japan). 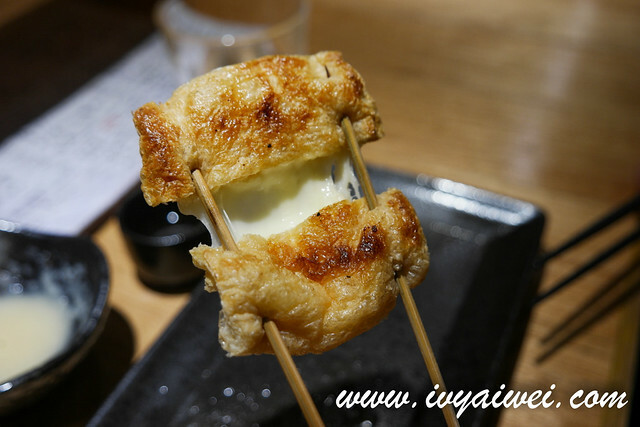 Here you can find any part from the chicken that can be made into Yakitori! 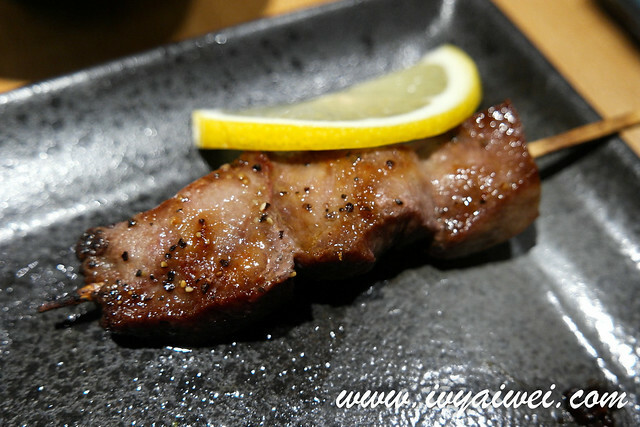 If you are not sure what to order, you can go for their O-susume (chef recommendation) that comes in 7, 10 or 12 skewers. 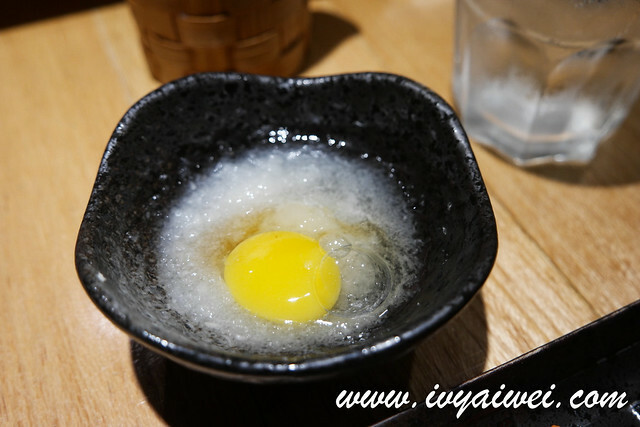 It is something like omakase style where you give the chef to decide and make the best one for you. Lamb, beef and duck are available too but those stand only 10% in the menu. 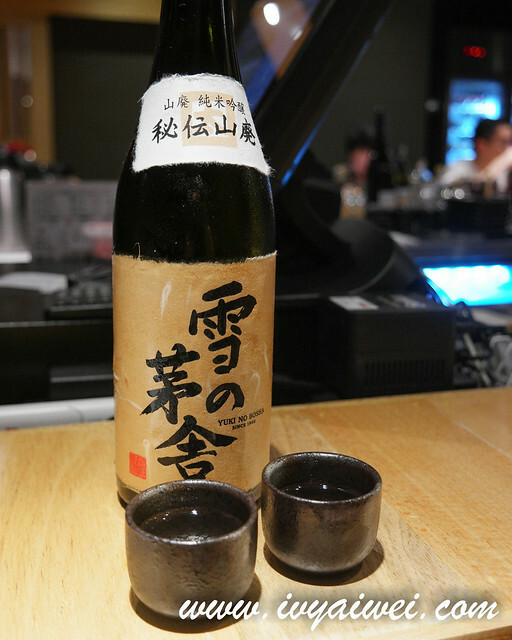 But first, a bottle of Sake to go with our yakitori meal. It was not available in the menu and we ordered based on the recommendation from the manager. 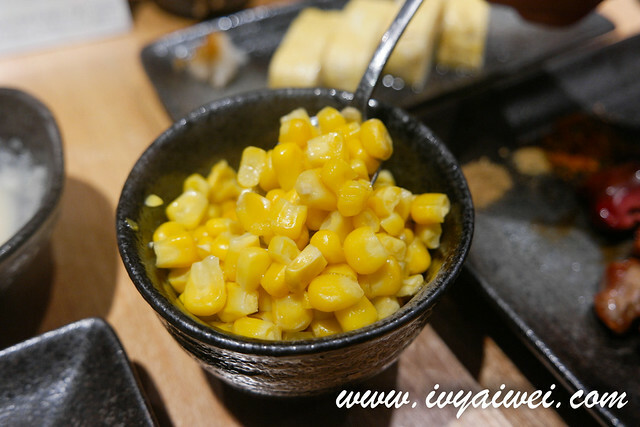 It was extremely good, savoury and paired well with what we ordered. 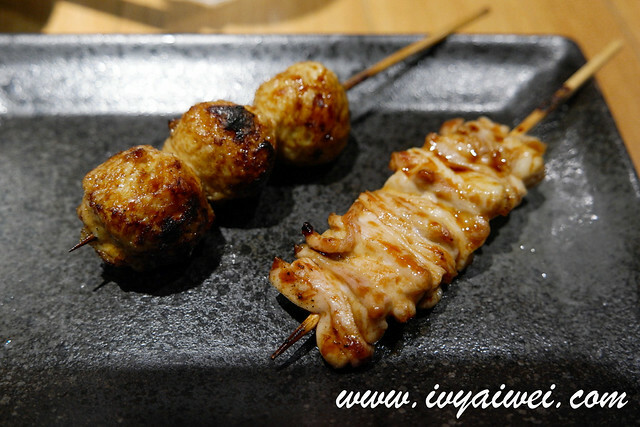 As for us, we had the kawa (chicken skin), tsukune (chicken meatball skewer), Leba (liver), Kashiwa (thigh). The chicken skewer here is priced between Rm 6 to Rm 12 for each skewer depends on the parts and special recipe. Love every order we had, they are succulent and tender, very well marinated. Especially my fond over the artery clogging chicken skin, great but not the crispiest type. 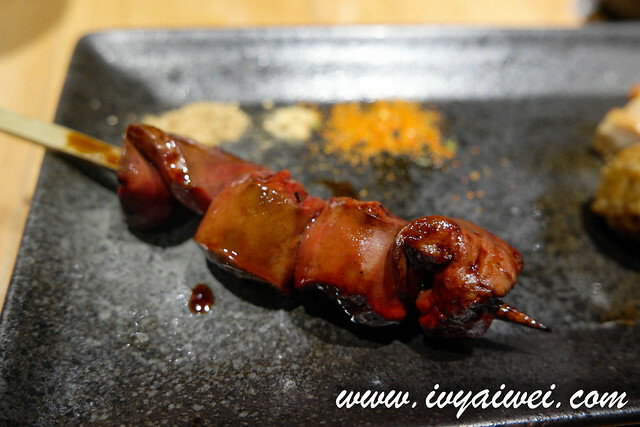 Well, chicken skin is my must order in a yakitori bar whereas Liver was WenChing’s one. 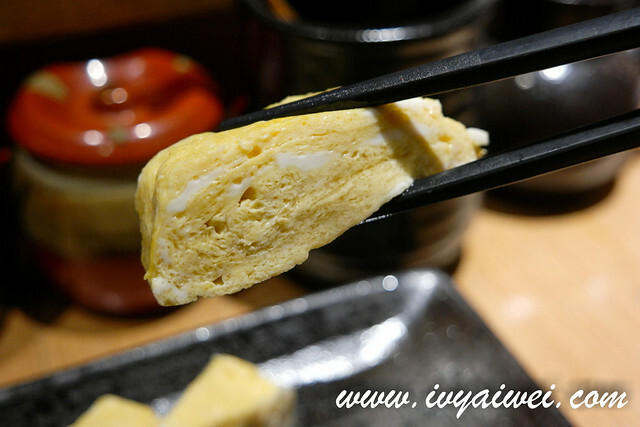 Japanese omelette in savoury flavour, soft and fluffy and eggy! 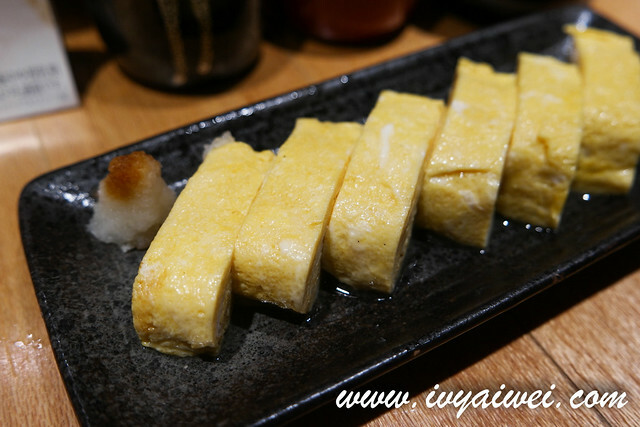 Fried tofu stuffed with raclette cheese is the bomb!!! 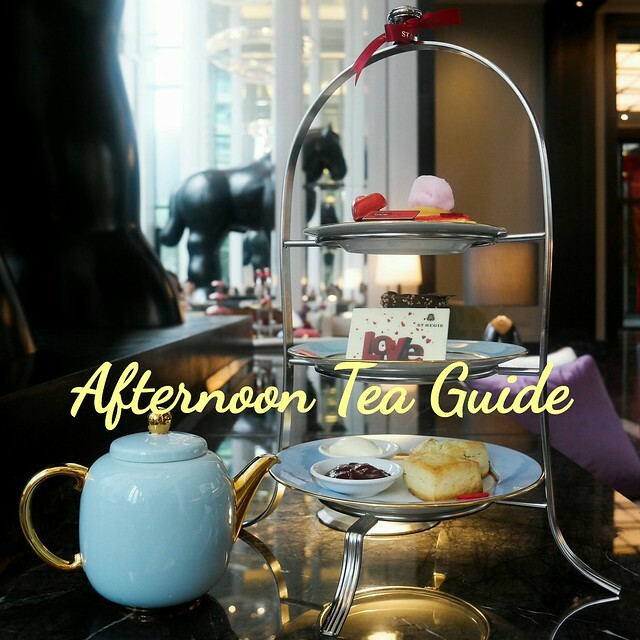 Another must order! it was cheese within the crispy tofu sheet. 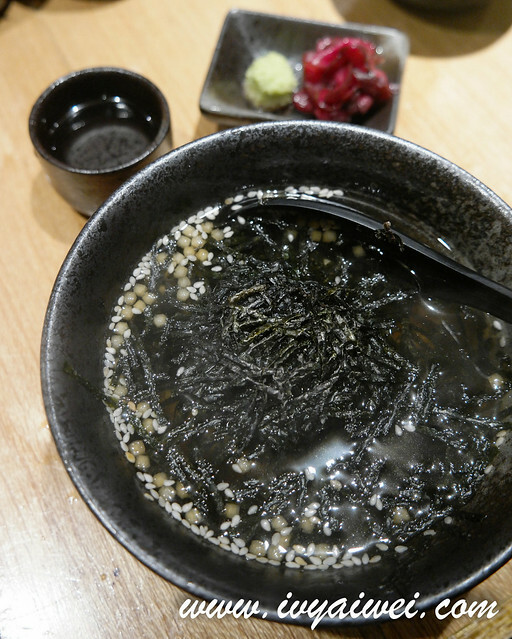 Rice with dashi soup and seaweed and plum to end our yakitori session.